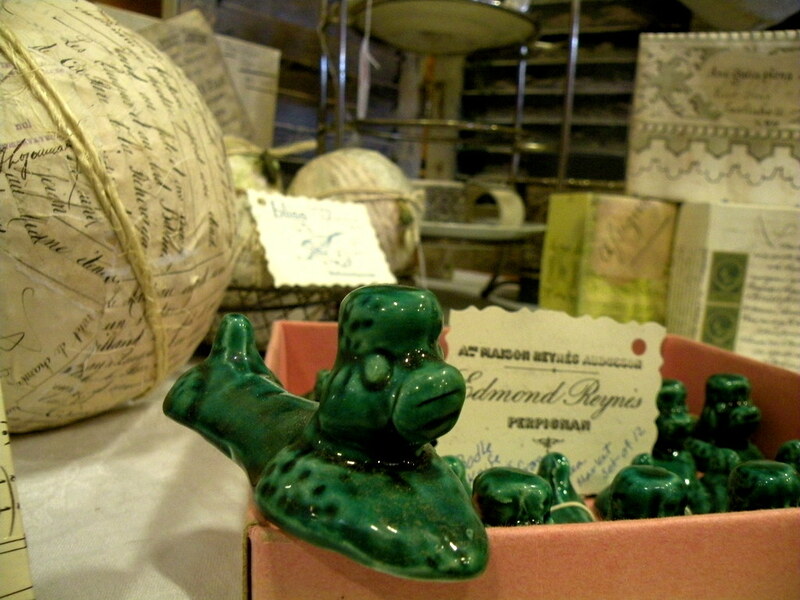 Antiques are way better than dodgeball! 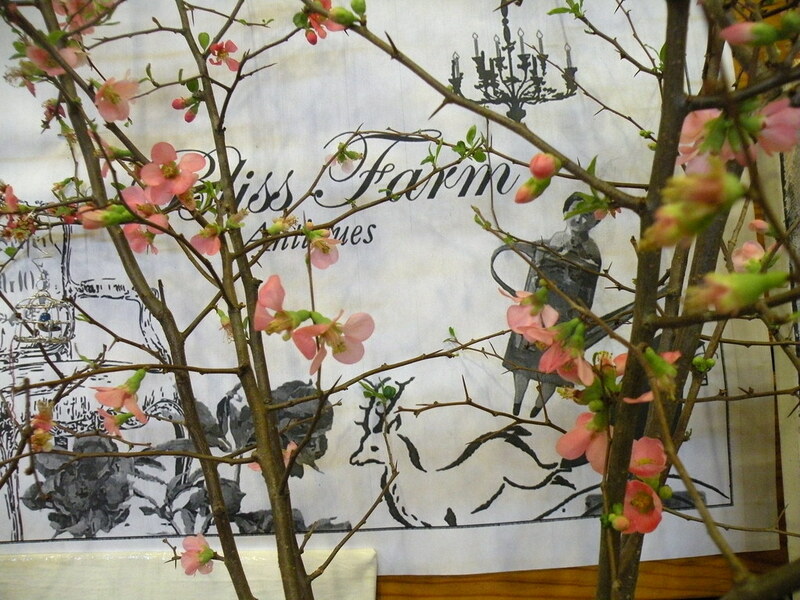 I first heard of Bliss Farm Antiques on Toma Haines’ blog The Antiques Diva. 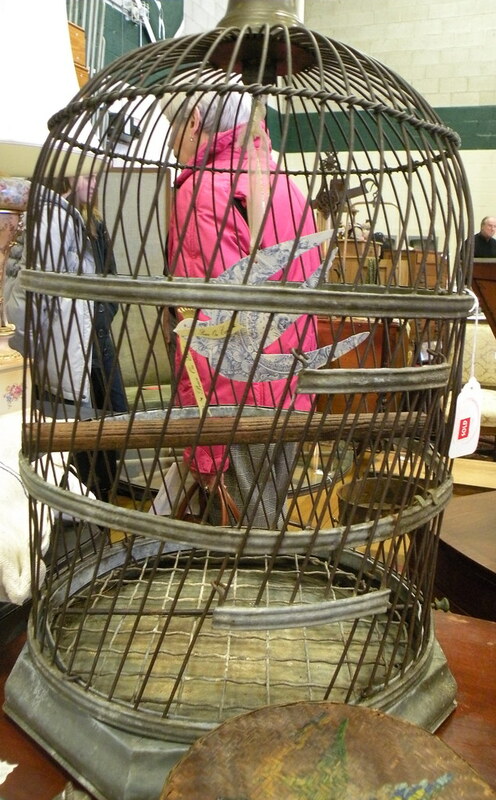 It was actually Toma’s post that reminded me of the antiques show right in my own town. Bliss Farm has a great visual aesthetic and deals in the super hot grain sacks and vintagy items that are so popular right now. She had a sweet collection of lavender sachets. I’d love to see the fabric that this beauty came from! Totally loving these French poodle knife rests. 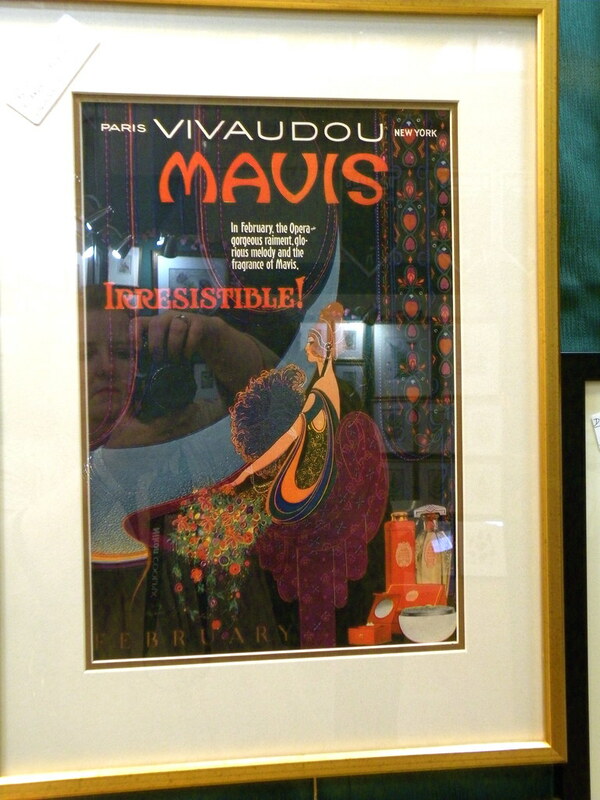 The Scrapbook from Essex, MA showed a beautiful collection of vintage 1920’s cosmetics ads by Fred Packer. How could one not have not wanted to run right out and buy what they were selling? 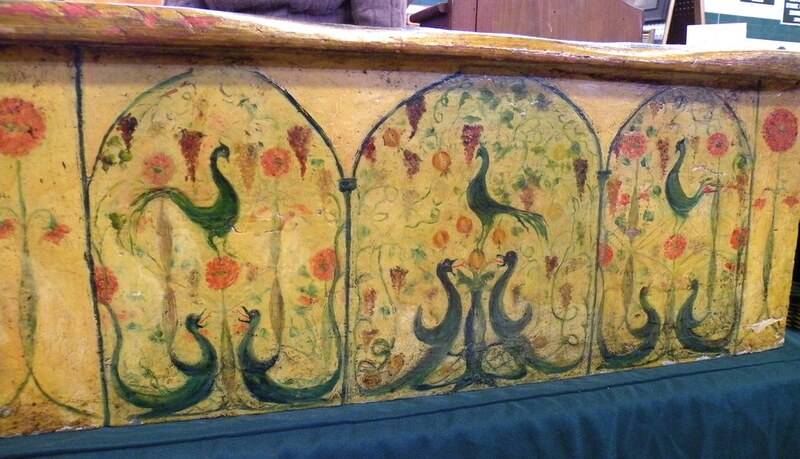 If I had room for it, I would have totally brought home this cute little painted table from Kathleen Fortuna Antiques of Scituate, MA. 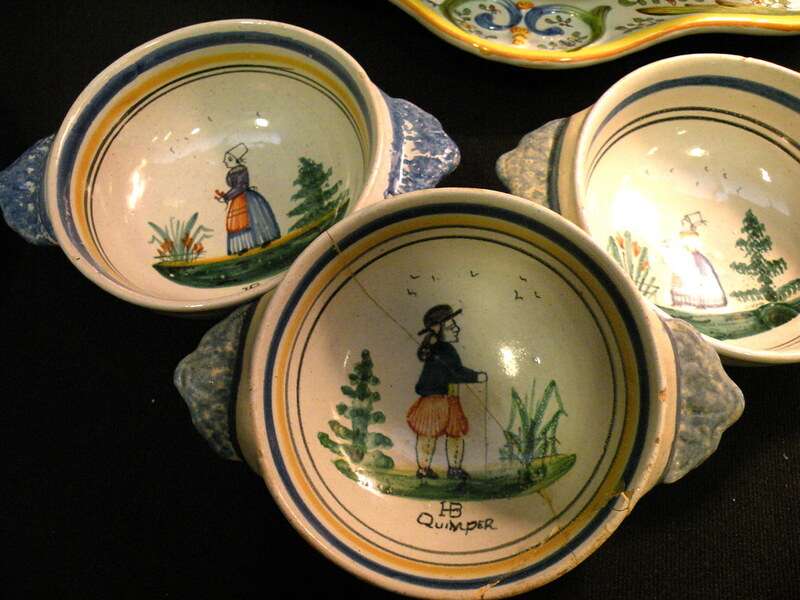 Of course, Quimper pottery is always a winner. 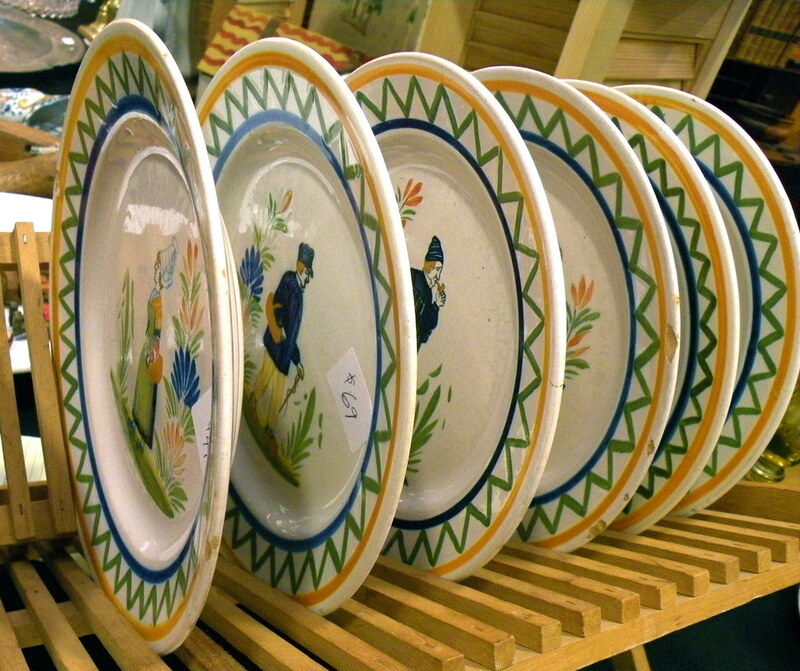 These from Camille Buda Antiques of Marshfield, MA. 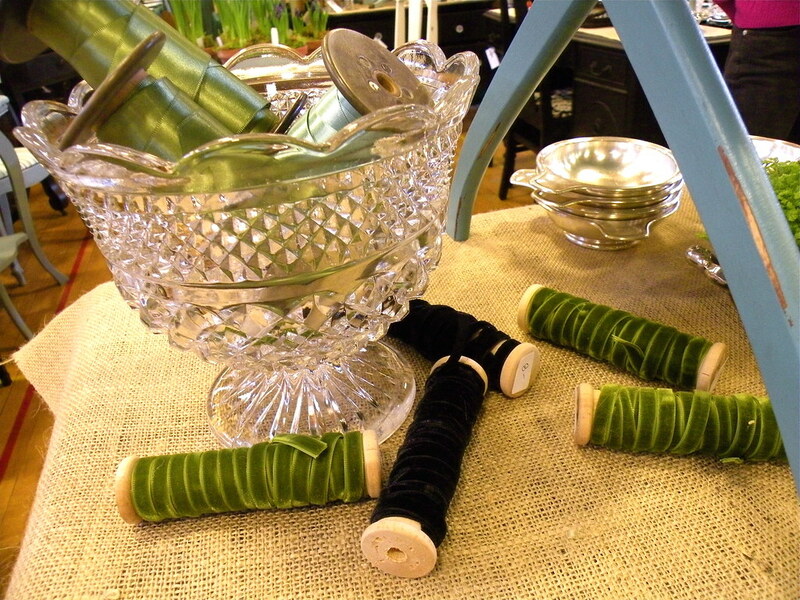 This Shaker cheese basket had some damage, but it’s so pretty isn’t it? 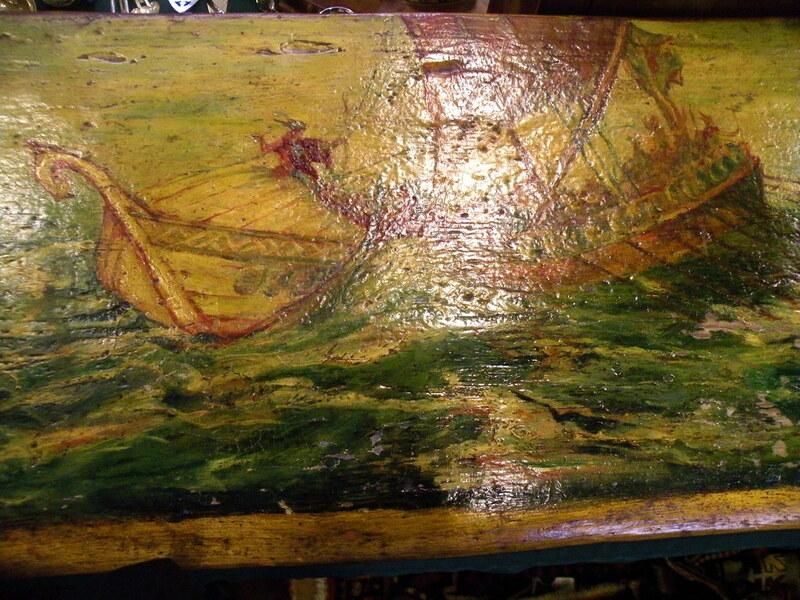 From Ciel Glynn Antiques of Cambridge, MA. Ciel Glynn also had this adorable barber’s pole. How cute would this be in a little boy’s room? 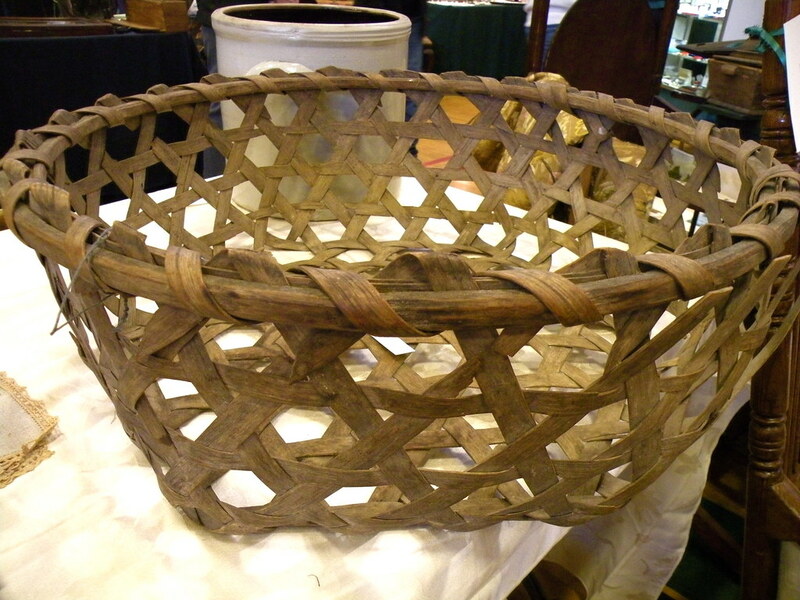 Here’s a very rustic New England style drop from secretary at William Nickerson Antiques of Orleans, MA. 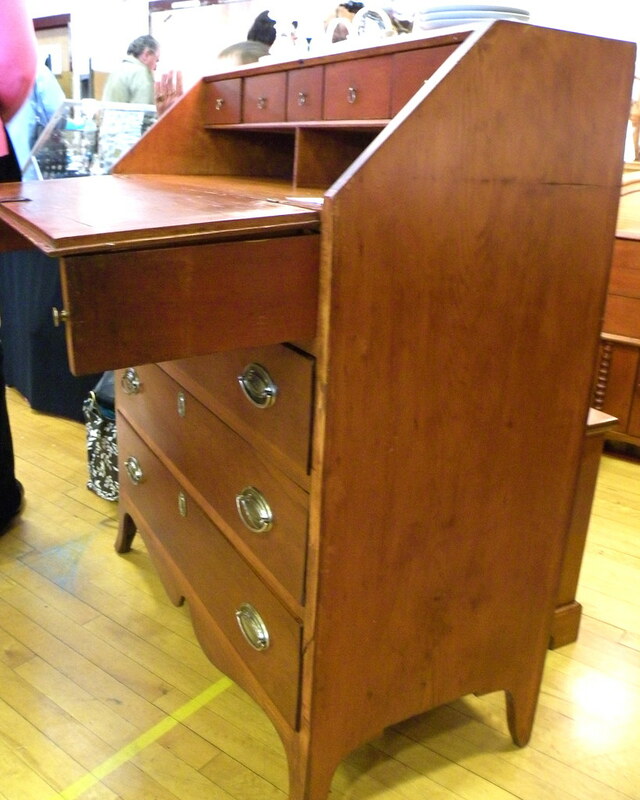 This isn’t an example of high quality cabinet making, but the price was very reasonable (I forget what it was). 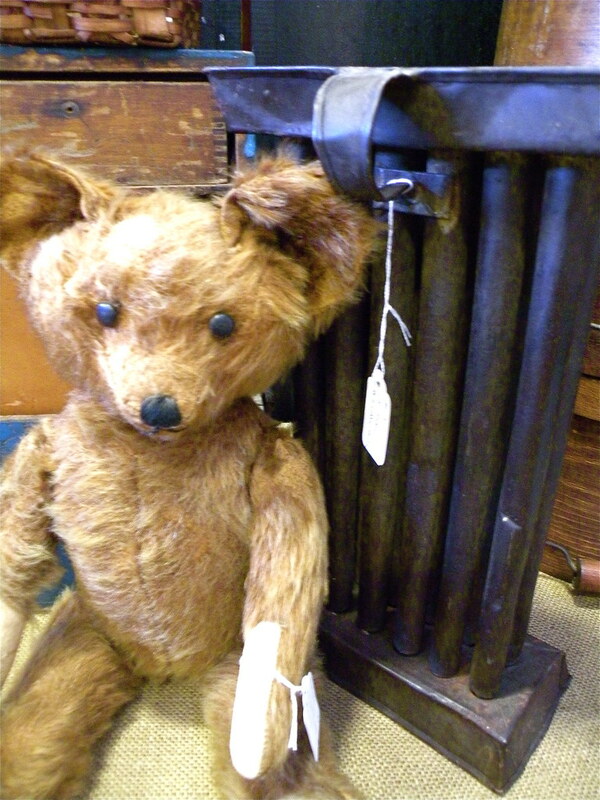 All right, everyone, say aww… The teddy bear is resting against an antique candle mold. 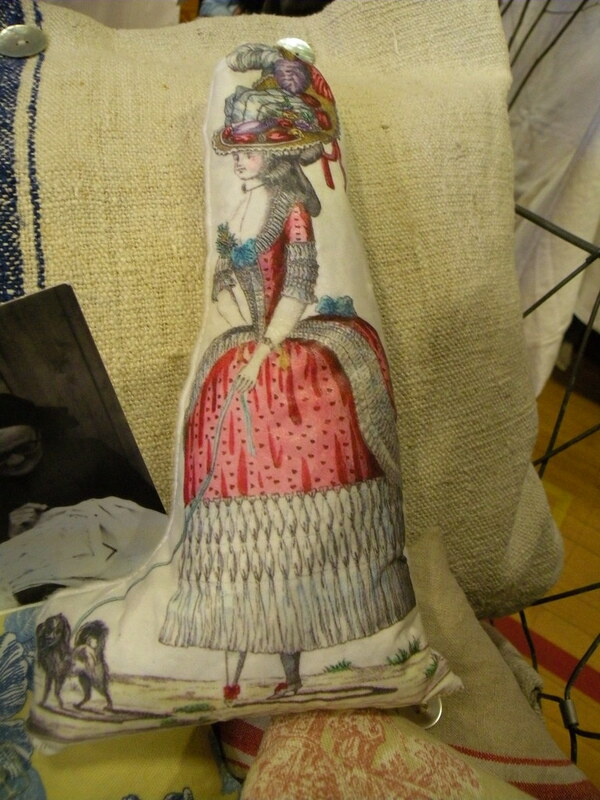 This Folk Art piece is the riser of a step – how cool is this? A big improvement over my Rubbermaid plastic step stool. A little harder to drag around, I suppose. From Robin Lloyd and Wayne Barron, Cambridge, MA. And the top of the step. Way too pretty to step on! 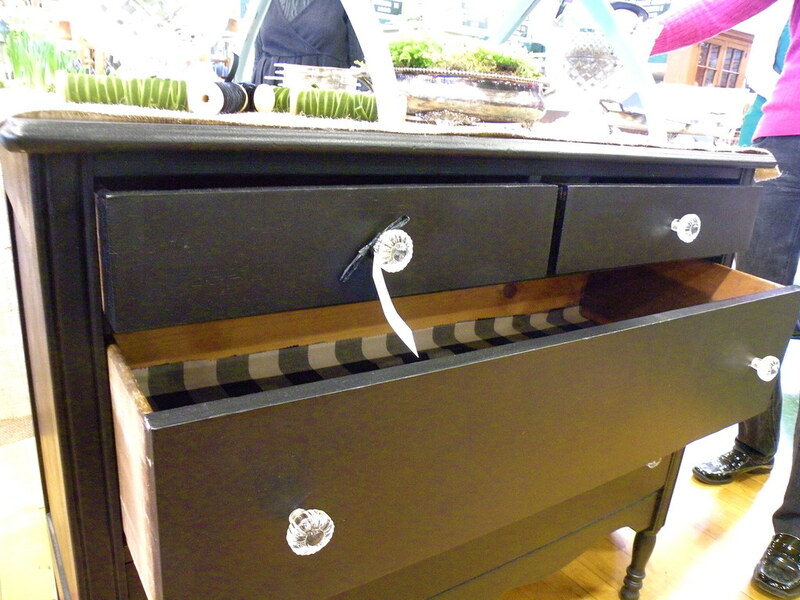 One of my favorite finds of the day is Painted Pretty Furniture based in Abington, MA. 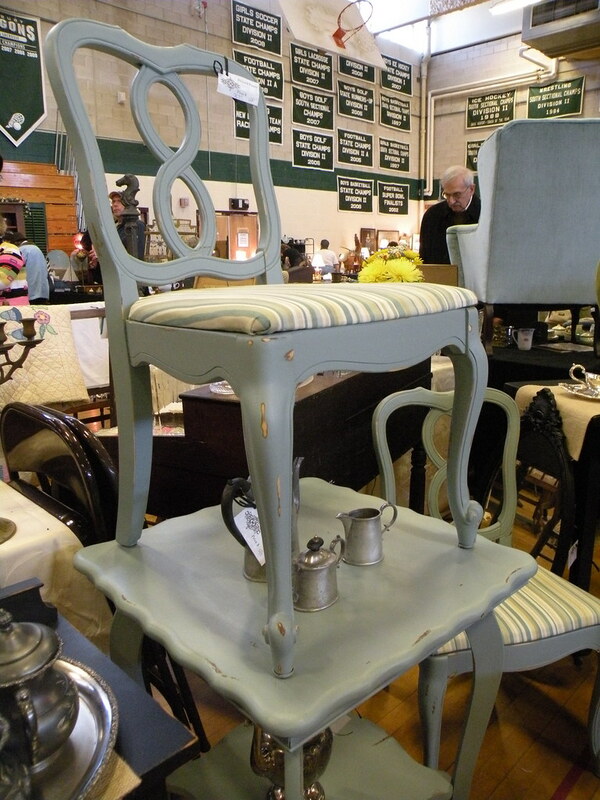 They take vintage furniture and restore them with a new coat of paint and upholstery. 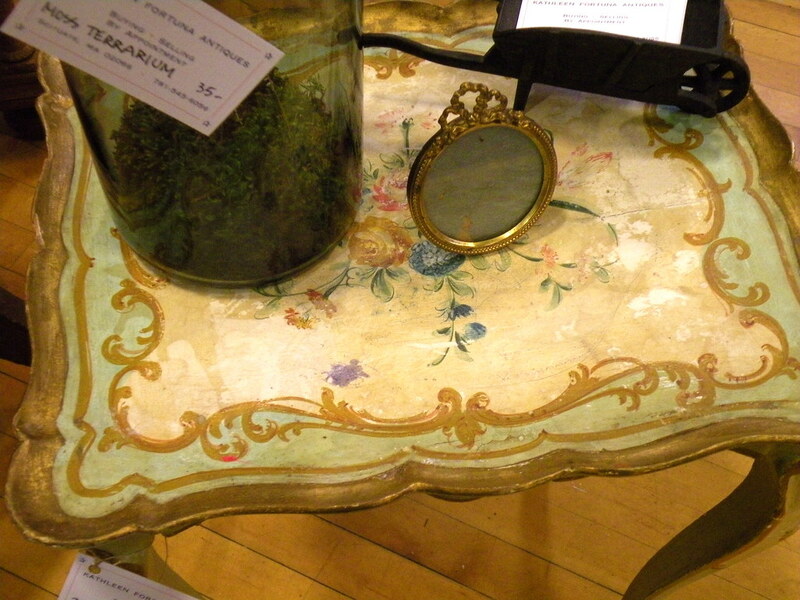 Mostly the pieces were small and not fine antiques, but their eye for color is fresh and the prices quite reasonable. 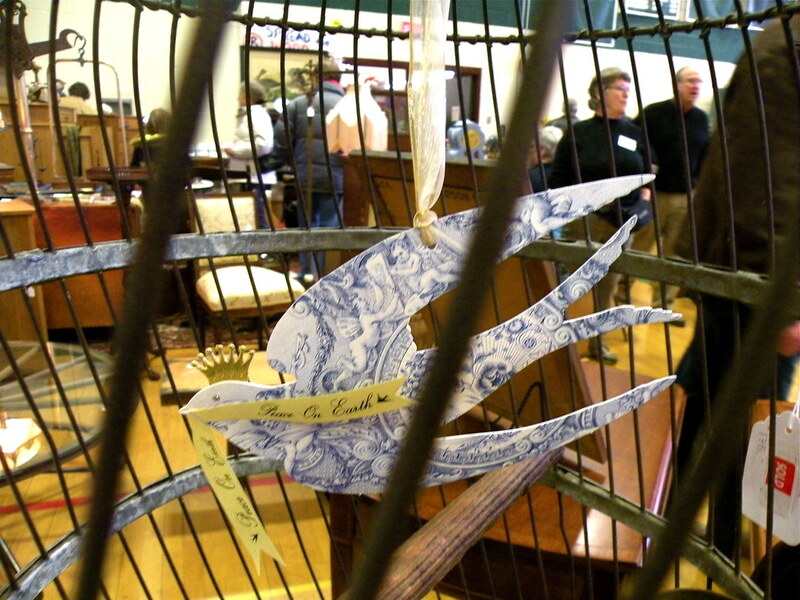 If you enjoyed these pieces from the Duxbury Antiques show, check out Toma’s blog The Antiques Diva later this week. 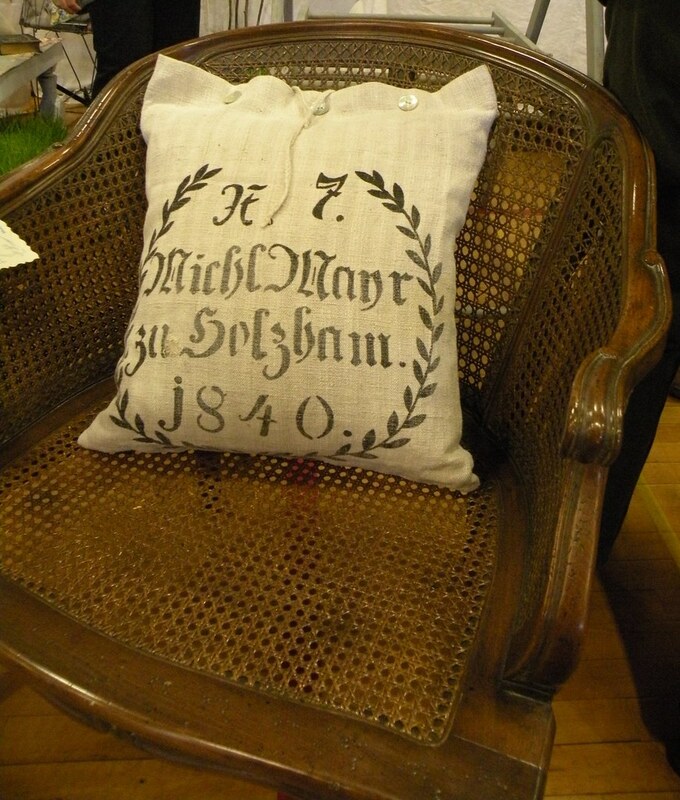 I have a guest blog post of other great finds from the show. Looks like great fun! This is the sort of thing I love to do…not a huge show where you get too exhauseted to think, but everything is a feast for the eyes!!! 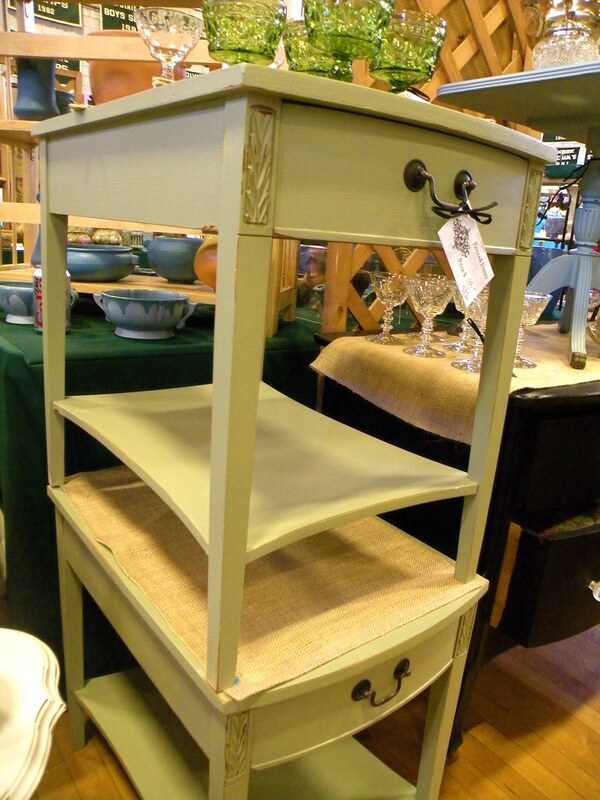 I love the tall piece with the shelves and two drawers! I agree A&A, the smaller shows are better. Sadly, I didn't buy anything. I neglected to bring much cash or check book. Not that I really need to be buying things anyway. 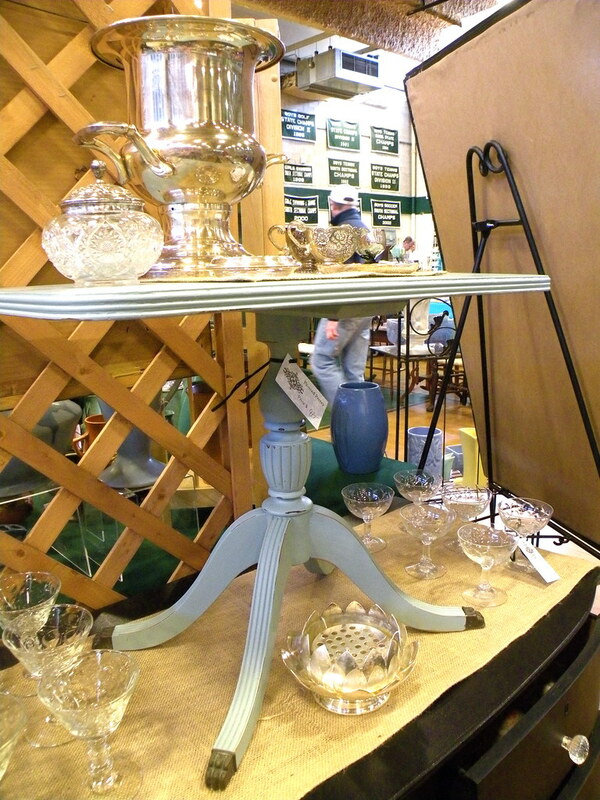 I was eying some of the silver serving pieces and considered going back on Sunday, but never made it. I see a bunch of things I want! What a wonderful surprise to pop over here and see my name!!! Thanks so much for mentioning my blog – and thanks so much for writing a guest blog for my site this week! What great finds! This is my kind of fundraiser too.